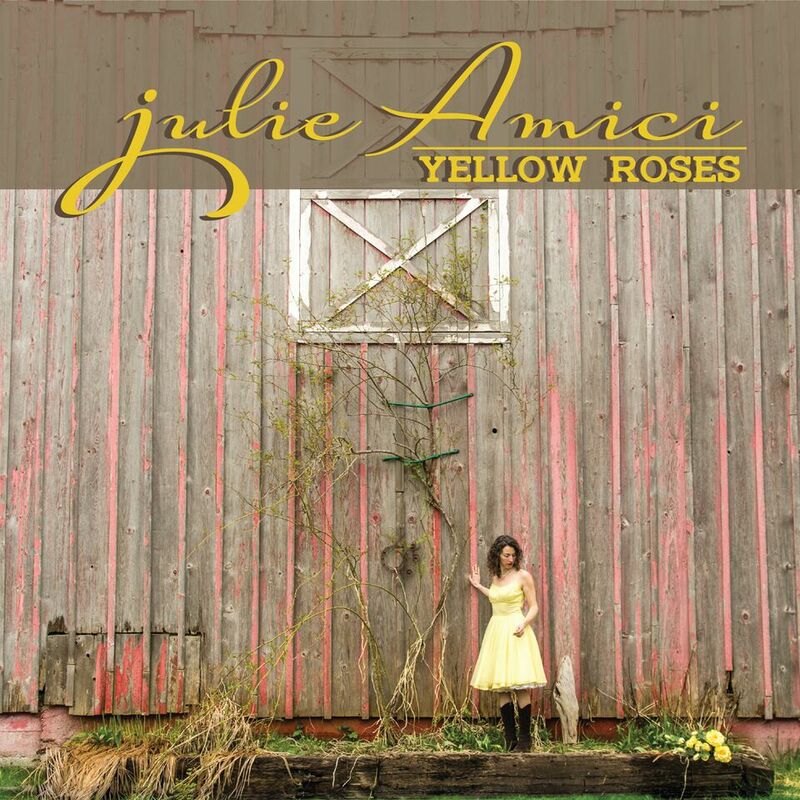 This debut EP from Julie Amici covers a good selection of Americana. It is all original material save for the inclusion of the traditional old English folk standard “The Fox.” And though this may seem like a completely different musical approach than you would expect from Dean Mueller and Julie Amici, a distance from their normal blues and jazz format, it is a beautiful accomplishment that showcases the diversity of their range and capabilities. Julie has one of those voices that draws you into the music immediately. Noted for her expertise capturing the emotion and sensuality of bygone artists like Dinah Washington, Nina Simone or Patsy Cline. She crosses the lines of the various genres from blues, country and jazz with perfection. But here she has found a true calling with folk and roots music. It is a direction suited ideally matching the atmosphere behind her songwriting and vocal talents. Though this is only an EP, with a meager six songs in total, it is crafted brilliantly with instrumentation and flow. As explained in the liner notes, these are stories that recall Julie’s upbringing and dreams. Each has its own personality and flavor, completely enhanced by the musicians accompanying her. All are outstanding with my own favorites perhaps being “Put You Down,” “Lady Of The Mountain” and especially “Black-Eyed Susan.” But they’re all winning numbers. The Yellow Roses project was six months in the making, working with good friend and collaborator Alan Jones at the helm. Instrumentation aside from Dean Mueller on bass and guitar and Alan Jones on guitar, percussion and background vocals the disc includes members of Timberbound, Gavin Duffy on banjo and mandolin and Jenny Estrin on violin; the award winning guitarist Alan Hager; and Duffy Bishop and Chris Carlson on background vocals whom Mueller works with in the Duffy Bishop Band. The only downside I found with Yellow Roses? It’s just not long enough. It has left me wanting more. And that is a good thing as it leaves an anticipation for what they come up with next. Can’t wait!